October is National Pregnancy and Infant Loss Awareness month. It's a very tough subject and is often considered taboo to talk about. A lot of people don't know how to approach it but I can promise you that anyone who has experienced the loss of a pregnancy or child is never not thinking of them. Although it can be hard to talk about, it's important that their names are said out loud and that they are not forgotten. I, myself have experienced a miscarriage. It was extremely devastating to lose a pregnancy that we worked so hard to achieve. It was my first time being pregnant and it happened after our second IUI cycle in 2013. Although it was a very early pregnancy loss, (by my 3rd beta the number had plummeted & and I experienced the actual miscarriage) it was one that gave us so much hope. We knew that there was a possibility that I could get pregnant and I was so certain that it would happen the next cycle. Unfortunately it took 2 more attempts at IUIs, 3 fresh rounds of IVF, 3 frozen rounds of IVF, and an egg donor before I'd ever get pregnant again, but that first baby, that little glimmer that I had in my belly for that short time gave me fuel to keep going for 2 ½ more years before I'd get pregnant again. One of the most alarming statistics that I've ever heard being in the world of TTC and infertility is that 1 in 4 pregnancies ends in miscarriage. You may not know who, but a woman you know, more likely several women you know, have experienced pregnancy loss, or maybe even infant loss. I know being in the world of infertility I have seen much more loss than I ever imagined that I would, failed cycles, early pregnancy losses, still born, and even infant loss and it has been absolutely heartbreaking to watch. But from much of that loss has come rainbow babies, lots and lots of rainbow babies, my own included. 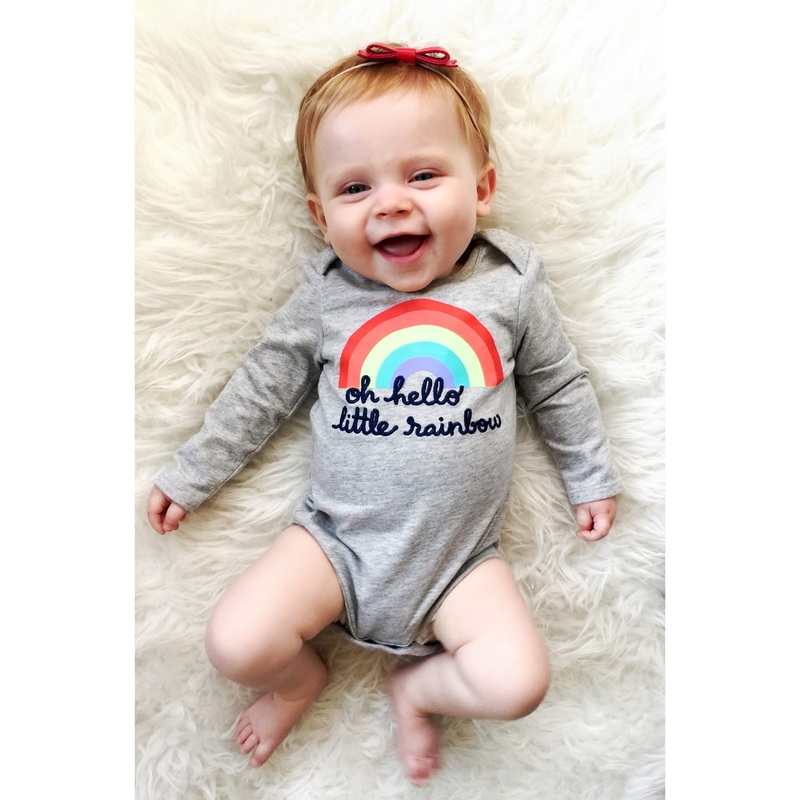 A Rainbow Baby as many of us know is a baby born (or adopted) after the loss of a previous baby due to miscarriage, still birth, or death in infancy. A rainbow baby symbolizes the rainbow that typically follows a storm. It's that miraculous gift that finally comes after all of the devastation that we endure. 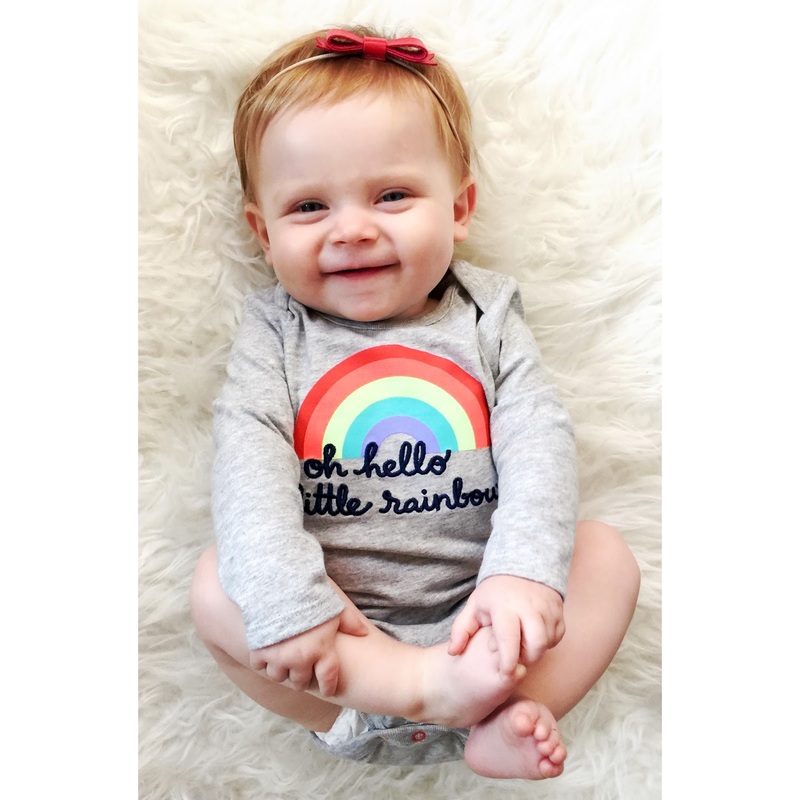 That is not to say that your loss should ever be forgotten, but rainbow babies represent a renewed sense of hope and overcoming all of that devastation. I think for some it can certainly be an extremely emotional concept and territory. Our rainbow baby Georgia took more years and more work than I could've ever even fathomed way back in 2013 when we lost that initial pregnancy. I had no idea the path that would lead us to her would lead us to egg donation from our known donor, that was a concept that never even crossed my green, naïve, way of thinking when I was first thrown into the world of infertility. Now I am thankful every day and want to shout our story from the rooftops if it would educate & help just one person. We are so very thankful for the opportunity given to us by our egg donor. We will never ever forget the potential babies that might've been. Although I really only experienced one miscarriage by definition, there were 9 other embryos transferred that were also potential children, any one of those could've stuck around to become our child/ren, however, we know that Georgia is the baby we were MEANT to have. She is our wonderful, beautiful, smiling rainbow girl and she will always be a shining symbol of love and determination to us. Not only for the month of October, but every day, we will remember those babies lost too soon, we will always wonder who they would have been. This was so beautifully written and Georgia looks absolutely stunning in that onesie :). I actually didn't know until recently that I am my mother's rainbow baby. She never talked about her loss and still hasn't (I actually found out from my aunt) but she is trying to open up about some serious things that have happened in her life and I commend her for that and will give her all the time she needs. this is a beautiful post girl. even if you only suffered one miscarriage you definitely went through more than most people ever do. georgia is definitely the rainbow after the storm, and she is so adorable! i had no idea 1 in 4 pregnancies ended in miscarriage. that is so very upsetting and terrifying.